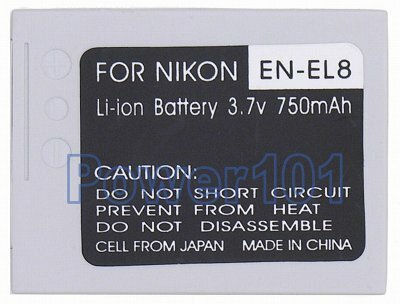 This battery is compatible with the following cameras: Nikon CoolPix P1, P2, S1, S2, S3, S5, S6, S7, S8, S9, S50 and Kodak EasyShare LS755. If you have a different camera, please check our camera compatibility list to find which battery you need. 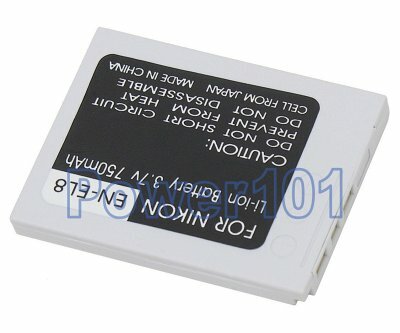 This battery can be charged by any standard charger capable of charging an EN-EL8 battery. Such as the charger that comes with cameras.